Hello everyone, how are you all doing today? 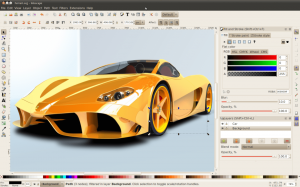 You can finally download Inkscape on Ubuntu and experience one of the best Vector graphic editing programs available for your Linux OS. The beautiful thing about Inkscape besides it’s great reputation, it is also free and open-source with a very active community. 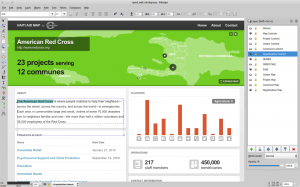 Today we will highlight some reasons why you should install Inkscape on Linux and perhaps this will make you forget all about Adobe Illustrator, Freehand and even Coral Draw. Inkscape is a very good alternative to all these programs and I bet you will agree with me after checking out some of it’s features and screenshots I have posted below. I have been using Inkscape here at the office for the past year and half and we love it, it get’s the job done and I could argue and say Inkscape is the best Adobe Illustrator alternative. Also, remember that on this page we will offer both the Flatpak installation and the Snap installation, I personally love both of these new platforms that allow me to install Linux apps with just a single click, the choice is yours. Let me know what you think about Inkscape in the comments. 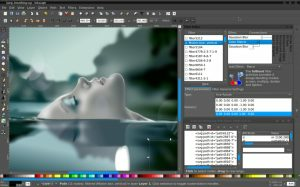 The Inkscape application is used across a wide variety of industries (marketing/branding, engineering/CAD, web graphics, cartooning) and individual uses.